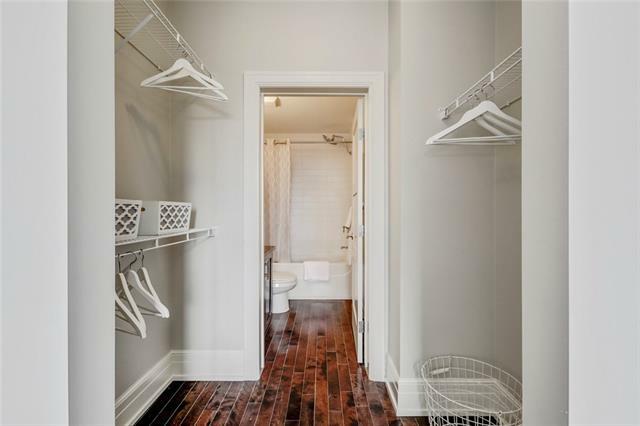 **INCREDIBLE VALUE! 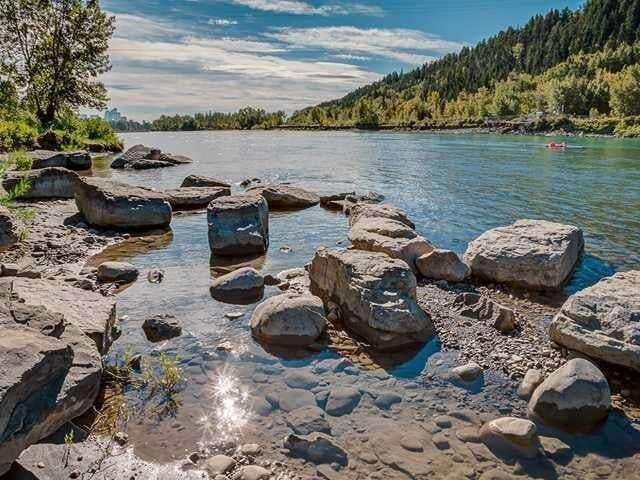 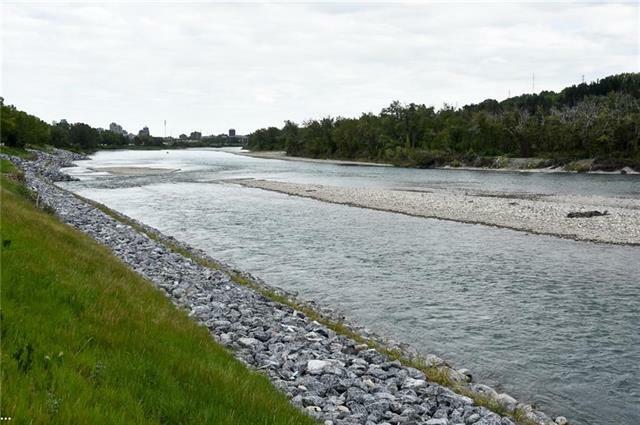 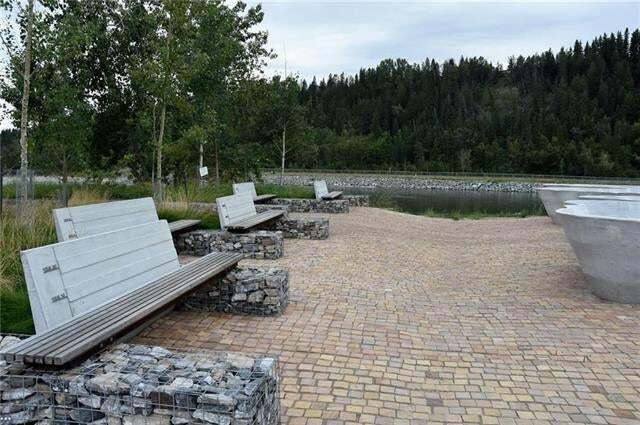 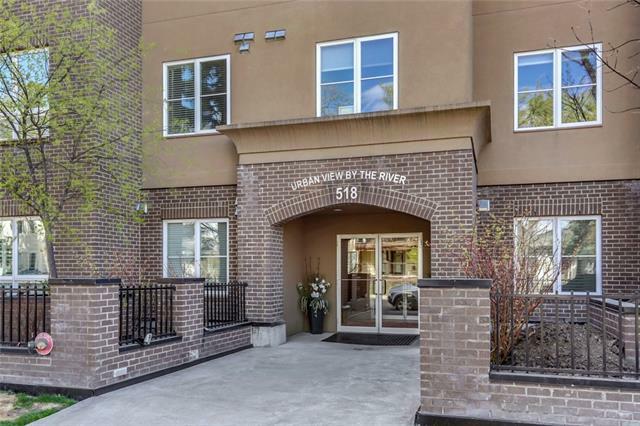 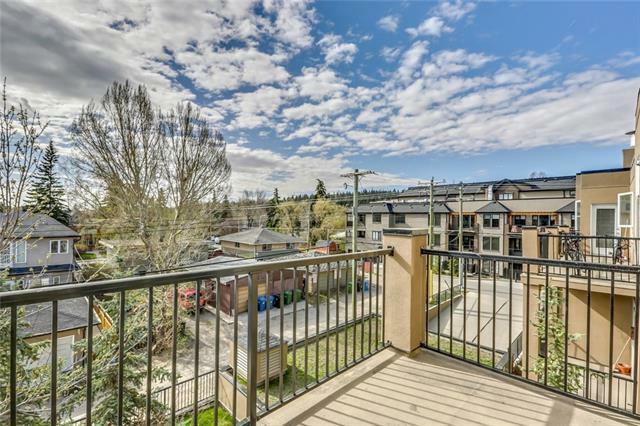 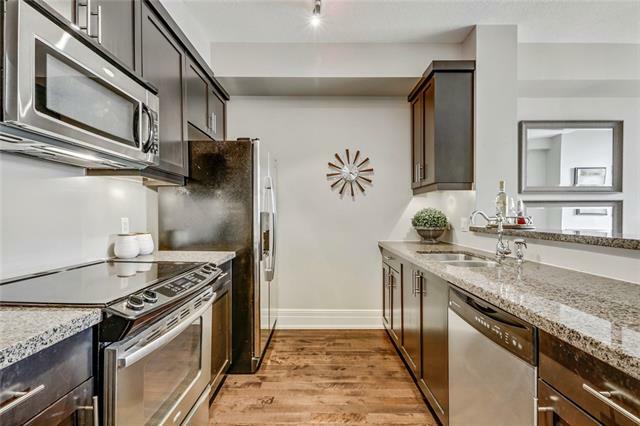 ** Welcome to ‘Urban View By The River’ centrally located in the distinguished community of Parkdale and just steps from the Bow River Pathway System with excellent access to downtown, foothills hospital, major transit arteries, and shopping. 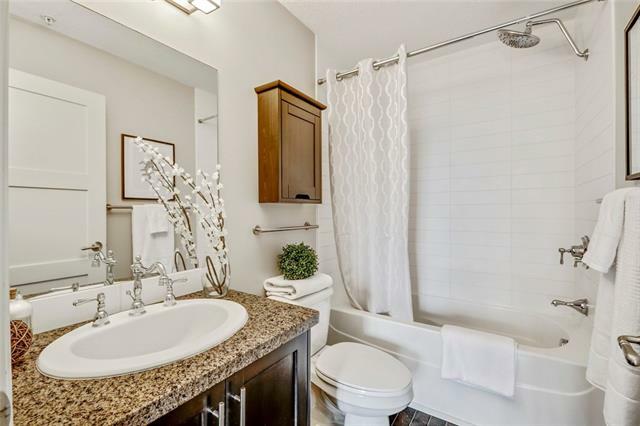 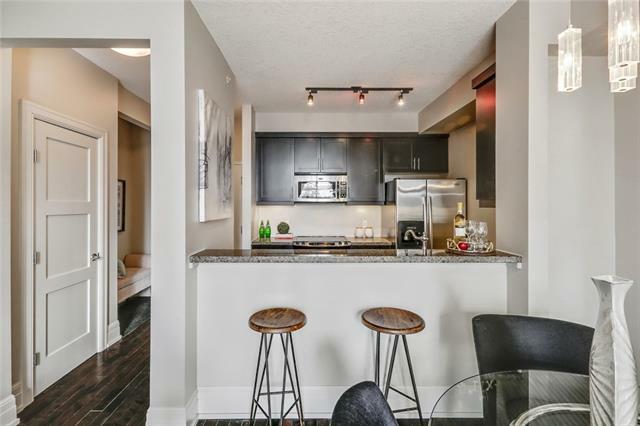 This TOP FLOOR unit includes 900 sq.ft. 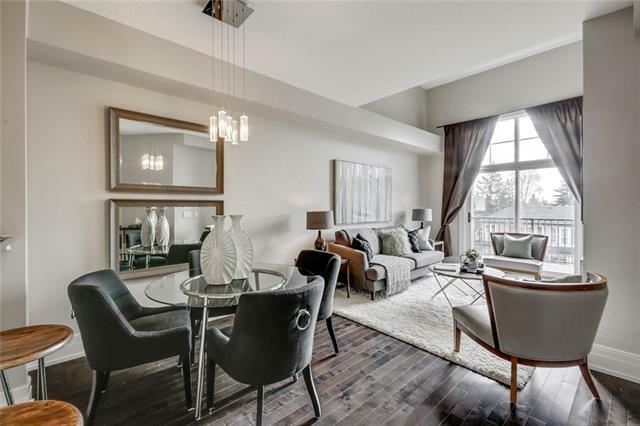 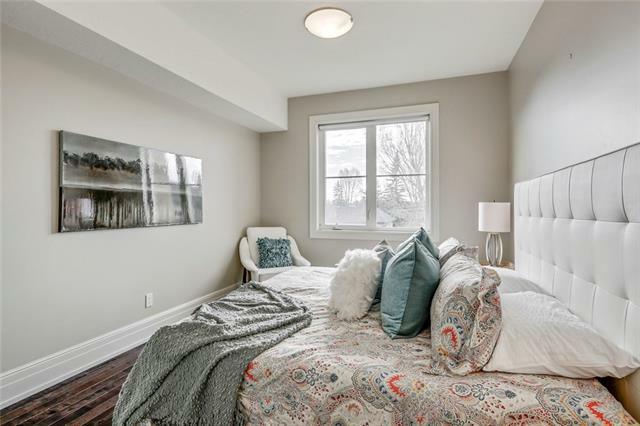 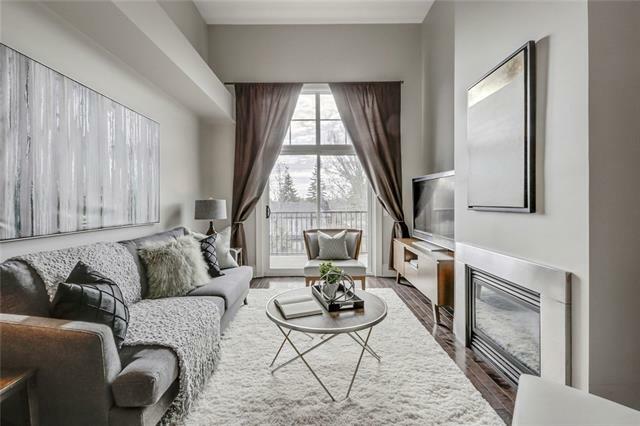 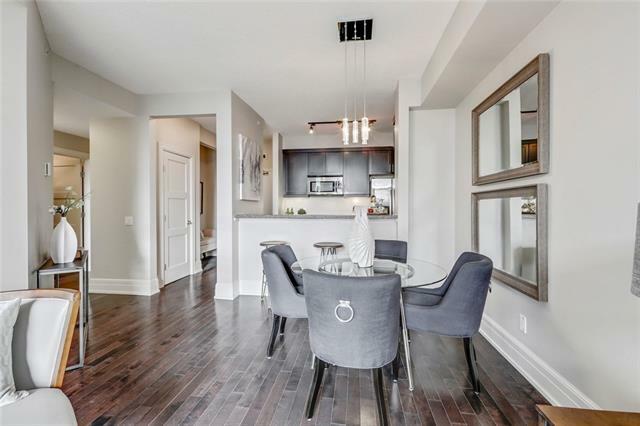 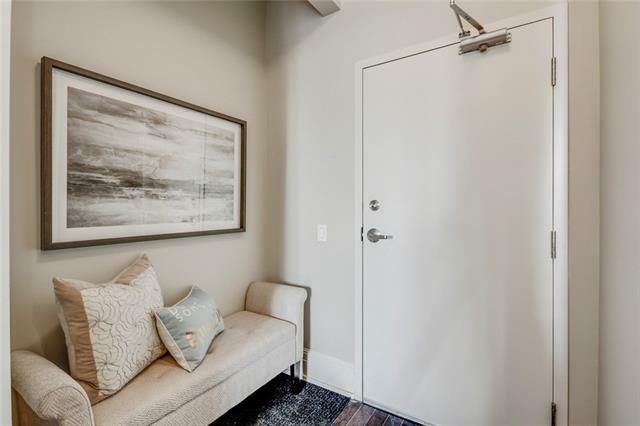 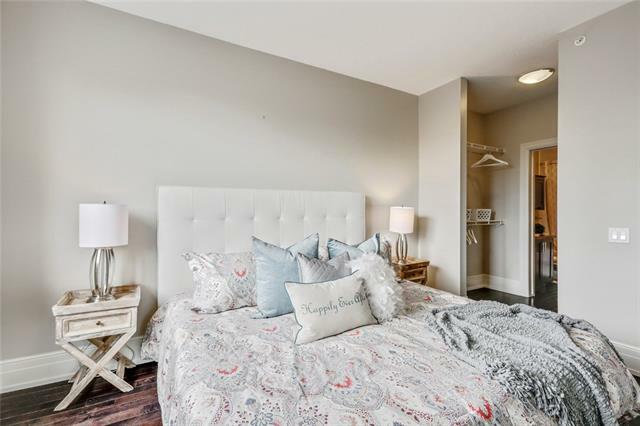 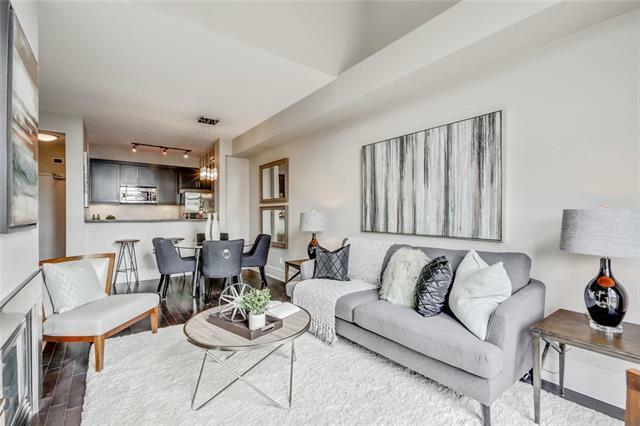 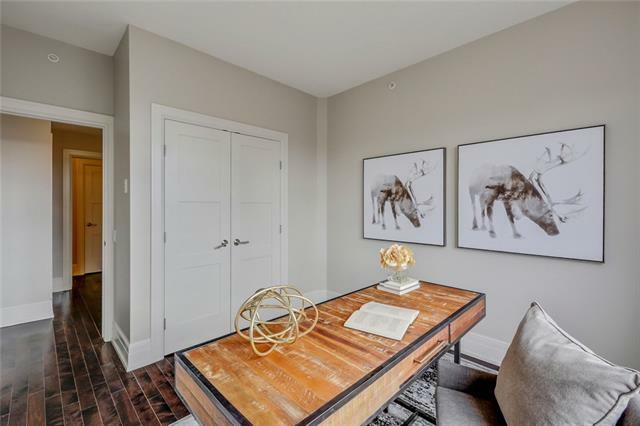 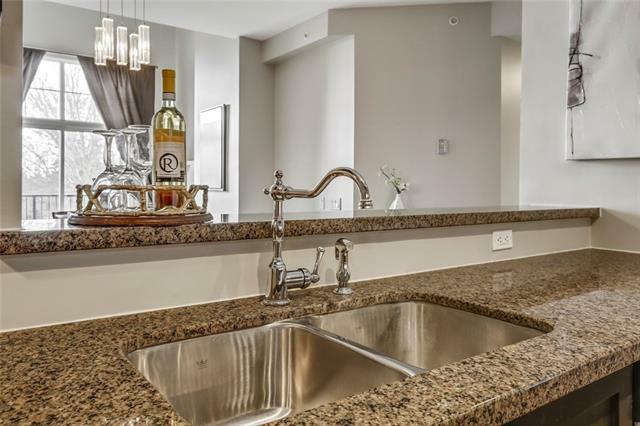 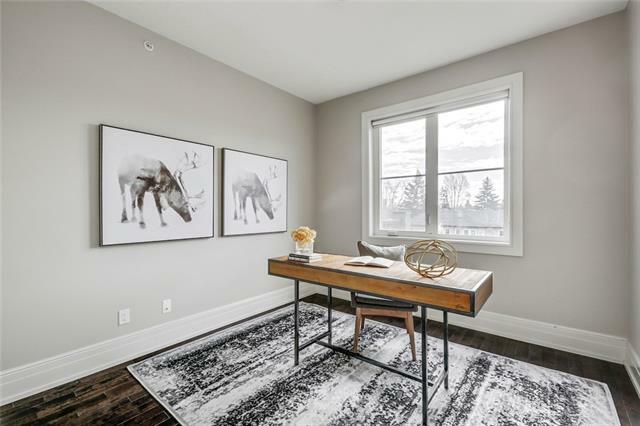 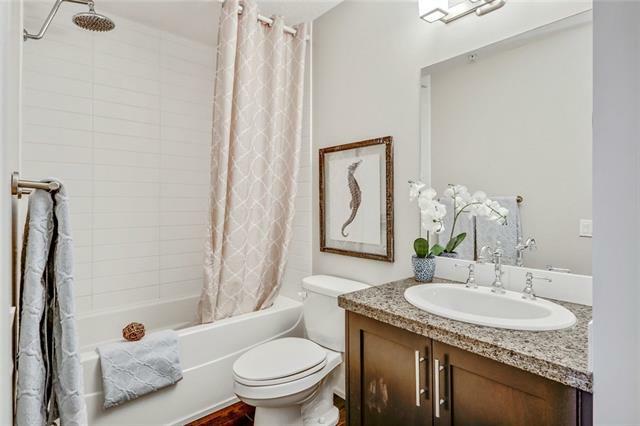 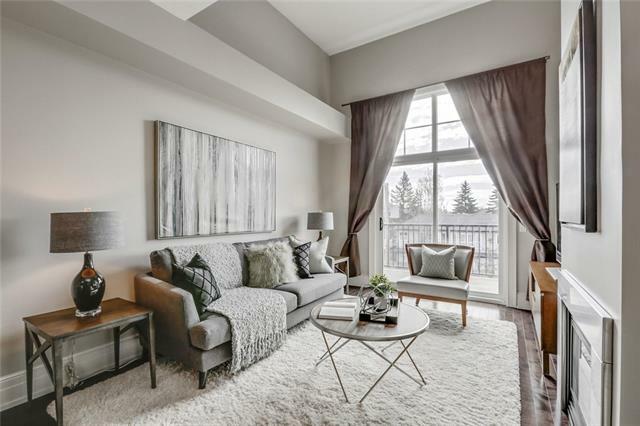 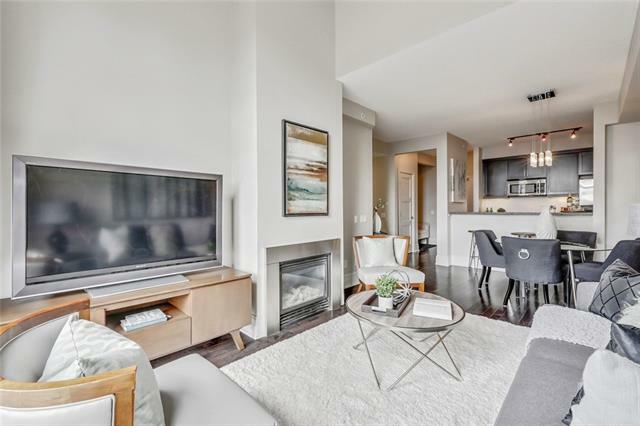 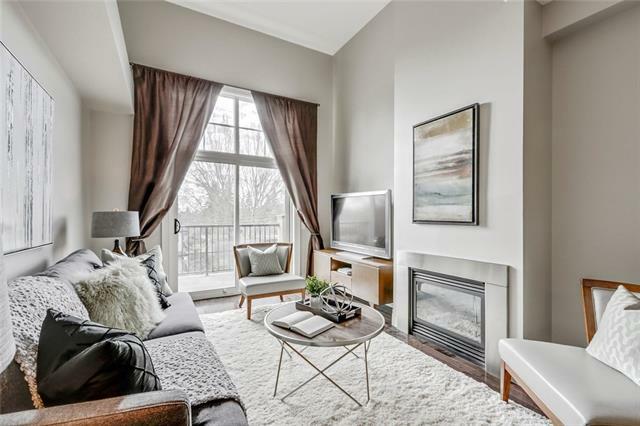 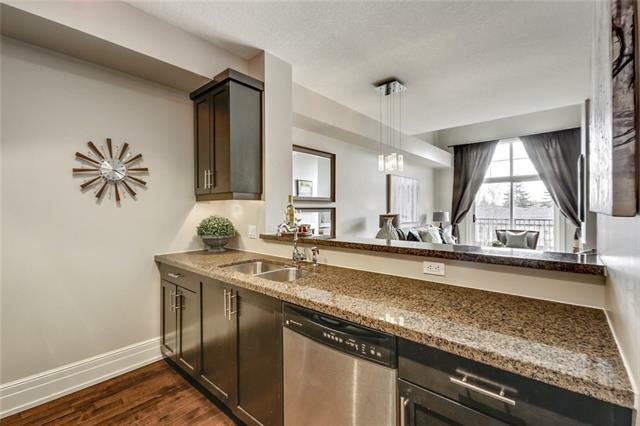 of sophisticated living space offering high end features and finishings throughout including: in-floor radiant heat, hardwood floors, detailed 8” baseboards, gas fireplace, dramatic 13’ vaulted ceilings, expansive windows, and downtown views. 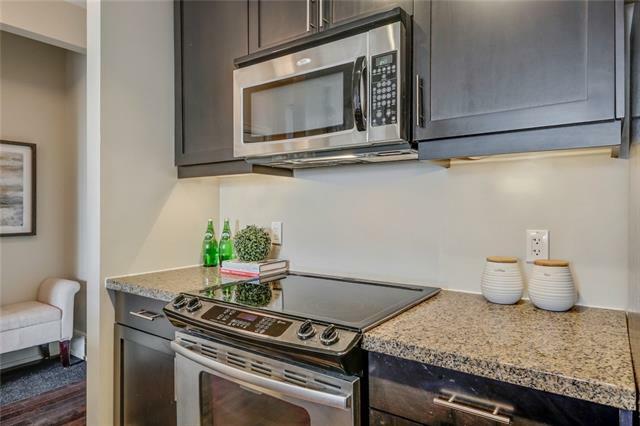 The open kitchen is great for entertaining and offers a raised breakfast bar, granite countertops, ss appliances, and stained maple cabinetry. 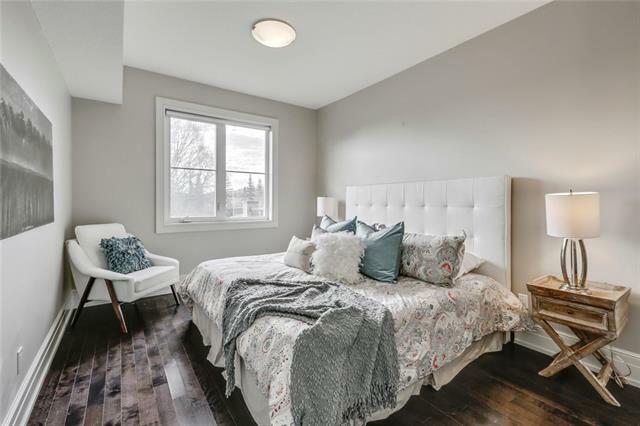 The master bedroom will continue to impress with room for a king size bed and a walk-though closet which leads to a private 4pc ensuite. 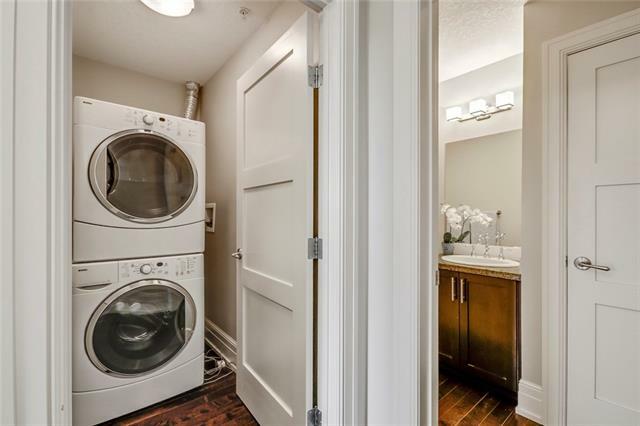 Complete with a generous second bedroom, guest bathroom and laundry. 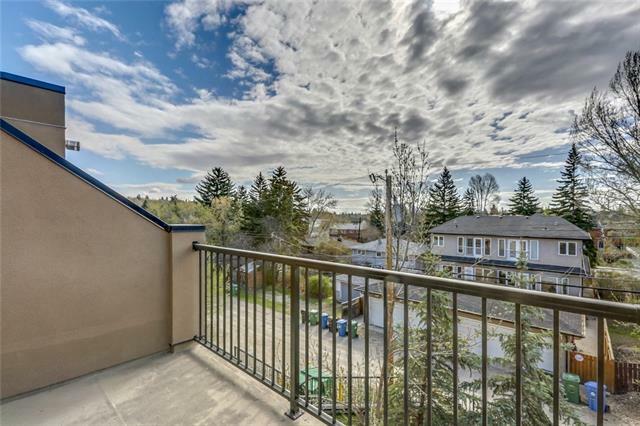 Other features include titled underground parking and a secured over size storage locker.